The rebuilding plan for Interstate 93 in Concord will move traffic through the city in an efficient and orderly way. But the current plan will do little to help the city grow or develop. Outside of New Hampshire, infrastructure is viewed through a wider lens. Rather than looking at a “road project,” the NH Department of Transportation should be thinking about how this economic development could build a stronger community. By including few offerings for pedestrians, rail, future vehicles or urban planning, the current I-93 project is already a dinosaur. Look at how MassDOT is carefully thinking through the urban impact of expanding the Mass Pike in Allston, being sure it will benefit the area. In Colorado, the state is planning a highway with energy coils to transmit power upwards to power trucks traveling in the dedicated energy-transfer lane. 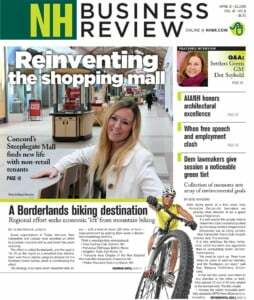 But in New Hampshire, the I-93 project might benefit those speeding to skiing or lakes, but it will do little to support smart growth, investment or tourism in Concord. It has no new tech – just a better design and more asphalt. It still cuts the city off from its river, does not improve the view of the city, nor does it free up land for redevelopment. In 1978, this plan would have been forward-thinking, but for 2019, it is dated, putting cars over people. Concord does a lot for this state, and the state could certainly do more for Concord.